Chicago authorities have charged a 22-year-old man for the execution-style slaying of a 9-year-old boy last November, the Washington Post reports. The suspect, whom the Post identified as Dwright Doty, was charged Monday with first-degree murder in the shooting death of fourth-grader Tyshawn Lee. 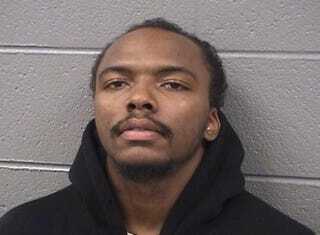 Authorities have maintained that Tyshawn was lured into an alley on the South Side and shot in the head in what they believe was a gang retaliation against his father. Police believe that one person or several people approached the little boy while he was in the park before engaging him in a conversation and leading him down the alley. An autopsy report showed that bullets hit the little boy in his thumb and hand and grazed his back. The fatal shot, however, was to his head. Tyshawn's father has denied law enforcement's claims and says that no one would want to hurt him or his son. Tyshawn's death was thought to be connected the death of 25-year-old Tracey Morgan, who was killed after a "call in" meeting with authorities, an effort to reduce gang violence. Morgan's brother, Corey Morgan, was arrested and charged with first-degree murder in Tyshawn's death in November, but authorities did signal that there were at least two other suspects believed to have been involved. According to the Post, Doty was already in custody on a felony gun charge and is currently being held on $1 million bail.